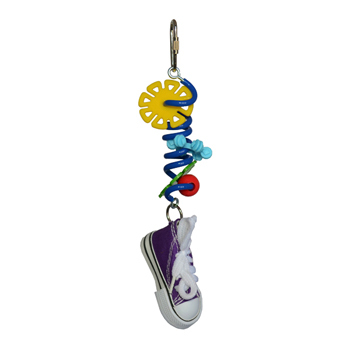 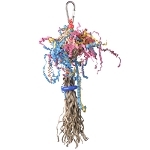 8.5 x 2.5 x 1.5"
The High Jump bungee toy consists of a colorful plastic coil strung with items carefully chosen for their safety and appeal to small birds. 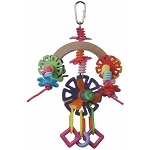 The plastic coil stretches and bounces, while the flat wheels, bumpy charms, and round beads provide your bird with numerous shapes and textures to explore. 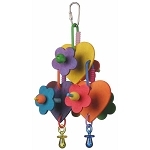 A sneaker constructed of fabric and rubber is added to the bottom of the toy for your bird to peck and pull. 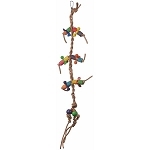 The High Jump hanging toy is sure to keep your small bird jumping with joy!